Could You Benefit from a Low Oxalate Diet? 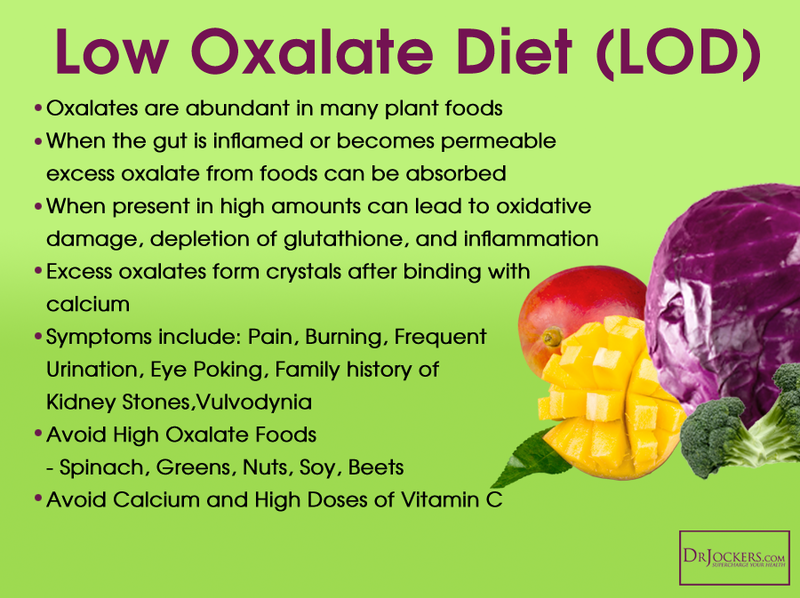 Do You Need A Low Oxalate Diet? I have seen over and over again how one man’s superfood may be another person’s poison. Fruits, vegetables, nuts and even dark chocolate are without question staples of a healthy diet. But did you know that some of these highly nutritious foods might be poisoning your body and sending your defense mechanisms into chronic overdrive? Nature’s weapon of choice in this matter is a compound called oxalate. Many people are just learning of the benefits of limiting oxalates in their diet and are finding relief from symptoms such as inflammatory conditions, autoimmune issues, mineral deficiency, and perhaps even autism. Although chances are you that you haven’t heard of oxalate until now, odds are greater that you may have a form of oxalate intolerance or know someone suffering from symptoms of excess oxalate. Unfortunately, oxalates are also found in high concentrations in some of the healthiest foods that we eat on a daily basis. When your body is faced with taking in excess oxalates found in foods, Popeye’s superfood can become our own body’s toxin. Fruits: Most fruit is relatively lower in oxalates. The highest concentrations are found in raspberries and some citrus fruits such as grapefruit. Lower levels found in most other berries, apples, plantains, watermelon and cantaloupe. Vegetables: Very high oxalate concentration in beets, olives, rhubarb, spinach, turnip, yams. Other food sources with oxalates include mustard greens, legumes and artichokes. Little to no oxalate concentration is found in broccoli, cabbage, cauliflower, cucumber, iceberg lettuce, mushrooms, zucchini and scallions. Dairy: Most food sources contain little to no oxalates. Examples include eggs, cheeses, yogurt, and plain milk (chocolate is a source of oxalates so stray from the chocolate milk). Grains: A high concentration of oxalates is found in all grains such as whole wheat, oatmeal, brown rice, corn grits, couscous, soy flour and buckwheat. Little to no oxalates concentrated in flaxseed, barley malt flour, corn bran and oat bran. Meat, Fish and Alternatives: Alternative protein sources such as veggie burgers, soy burgers and tofu burgers are very high in oxalates. Most meats such as buffalo, ham, hamburger, turkey and wild game contain low to no levels of oxalates. All fish except for tuna contain little or no oxalates. Nuts and Seeds: All nuts are high in oxalate concentration and extremely high in almonds with concentrations more than quadrupled that of a single serving of mixed nuts. Flaxseed contains little to no oxalates. Other: Oxalates are found in some processed snacks and beverages including potato chips and hot chocolate. Red and white wine contain little to no oxalates. Clinically, I use the Great Plains laboratory organic acid test to determine if someone has elevated oxalates in their system. This is a simple urine test done in the comfort of your own home. When I see elevated oxalic acid with elevated glyceric or glycolic acid it is usually a sign of a genetic hyperoxaluria. When oxalic acid is elevated without an elevation in glyceric or glycolic acid it is typically related to Candida Albicans overgrowth or a very high vitamin C intake. This test also lets me analyze for vitamin B6 deficiencies and for Candida overgrowth which are both major causes of hyperoxaluria (10, 11, 12). From a functional nutrition and natural medicine perspective this test helps me to determine the cause and best diet and treatment for this condition. 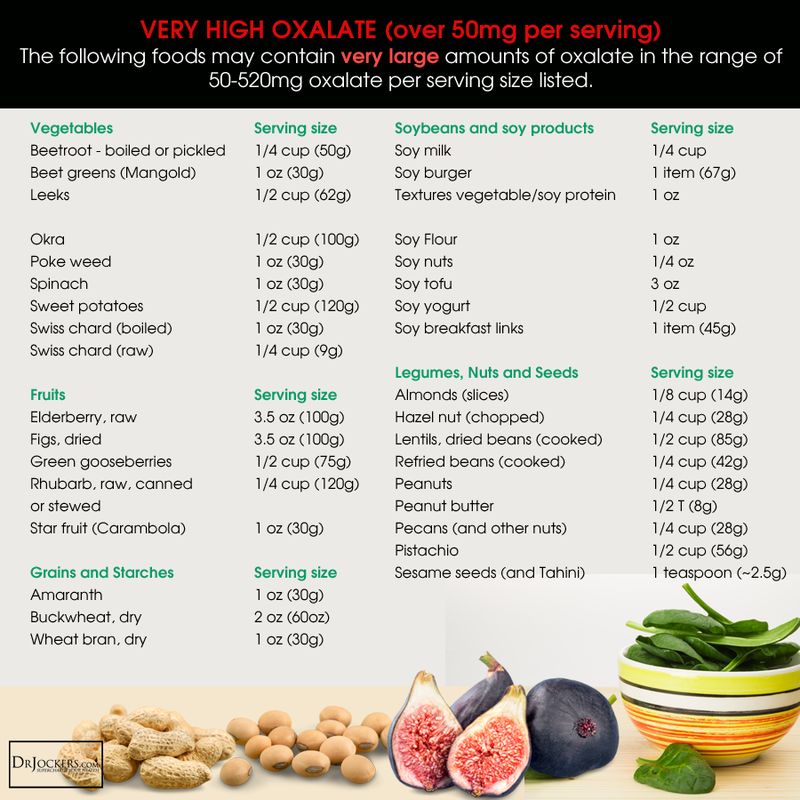 Oxalate: What’s that Chalky taste? Have you ever tasted spinach or swiss chard and it left a chalky and perhaps undesirable smooth texture on your tongue and along the roof of your mouth? This texture is a result of the oxalate content in the plant and acts as a defense mechanism so predators like you avoid consuming it. It then makes sense then that the leaves of fruits and vegetables contain higher concentrations of oxalate compared to other anatomical parts such as the stem (1). What are Oxalic Acid Salts? Often referred to as oxalic acid, this organic acid is highly reactive with minerals including sodium, potassium, magnesium and calcium. 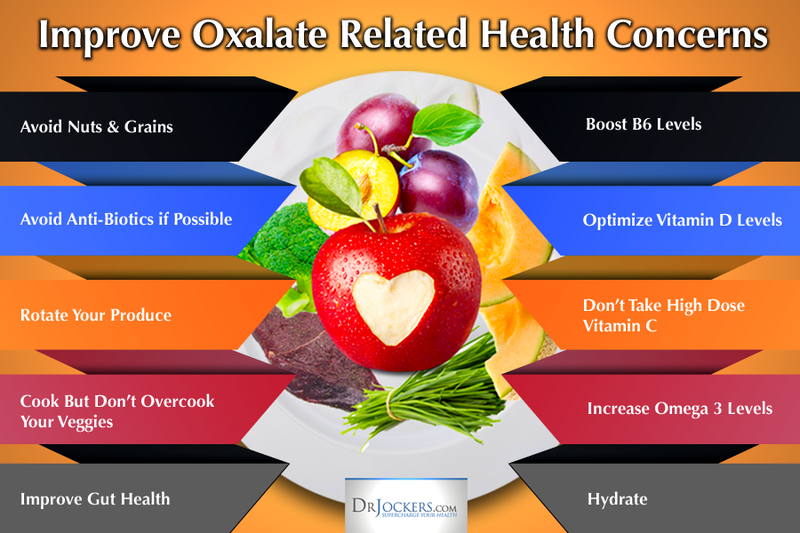 Oxalate is like that friend who is great to bring to social gatherings and seems to make friends with everyone. Just like some of the caustic relationships your friend might form, oxalic acid can combine with calcium and solidify in the kidneys and urinary tract creating a corrosive environment (3). Now for sure you have heard of kidney stones and urinary tract infections. Some studies are cautious to blame dietary oxalate as the cause of kidney stones. Reasoning is because oxalate concentration in urine measured only accounts for 10-15% of total body concentration (1). A better pathway of excreting oxalates through the body is through feces and higher concentrations in this form would represent less absorption of oxalates in the body. This route of excretion better ensures that oxalates will not bind to calcium and create health problems. If you are dealing with kidney stones, here is an article with strategies to prevent and overcome them. The condition caused from high oxalate concentration in urine is known as Hyperoxaluria (8). Think of “hyper” activity exhibited by your child, “oxal” derived from oxalate, and “uria” sounds like “urine”. Research found that 51% of cystic fibrosis patients had hyperoxaluria and this is a major risk factor for kidney stones (4). Cystic fibrosis patients are often recommended to eat a low oxalate diet but the undermining mechanisms that cause the buildup of oxalate in their urine is not yet fully understood. One reason may be due to the reactivity of oxalate. Oxalate is 10 to 15 times stronger than calcium at combining to form oxalic acid salts which increases risk of kidney stones (2, 4). Individuals suffering from cystic fibrosis undergo constant treatments to help clear their airways and reduce inflammation. Antibiotics are an important part of fighting against infections in these circumstances. Unfortunately, antibiotics may only create a different type of health disturbance. Other healthy gut bacteria that are known to break down oxalates include lactobacillus acidophilus and bifidobacterium lactis (16). These are found in abundance in many fermented foods such as sauerkraut, kimchii, kefir, yogurt, etc and in high quality probiotic supplements. When the intestinal lining is damaged it increases the permeability of the inner layer and allows unwelcomed particles to cross the barrier between intestine and blood steam. Leaky gut increases your whole body’s immune response because of inflammation, nutrient deficiency, and oxidative stress. If not corrected, over time your body will remain in a chronic inflammatory state and increased stress. Stress eats away at your B vitamin supply and as mentioned, vitamin B deficiency blocks reduces the bodies ability to adequately methylate and this aids in oxalate synthesis (2). When the body has more oxalate than it can breakdown, oxalate becomes stored over time in tissue and the thyroid. The human body is innately a design of intelligence. If it is being provided something in excess that it doesn’t need, it will simply store it away for future use just like a squirrel hoards acorns for the cold winter months. Researchers have suggested that individuals with autism may be predisposed to oxalate intolerance. Although the metabolic pathways are unclear, individuals with autistic tendencies have seen an improvement in their symptoms when consuming a low oxalate diet (2). The first study analyzing oxalate in autistic children was only recently released in 2012. Findings suggest that the development of autistic symptoms may be from excessive intestinal absorption and increased oxalate absorption through the kidneys as others oxalate studies have noted. An individual with a healthy gut and otherwise healthy immune system can generally tolerate low levels of oxalate from foods. Individuals with either common or rare conditions associated with excess oxalate concentrations in the body may benefit from eliminating dietary sources of oxalate. 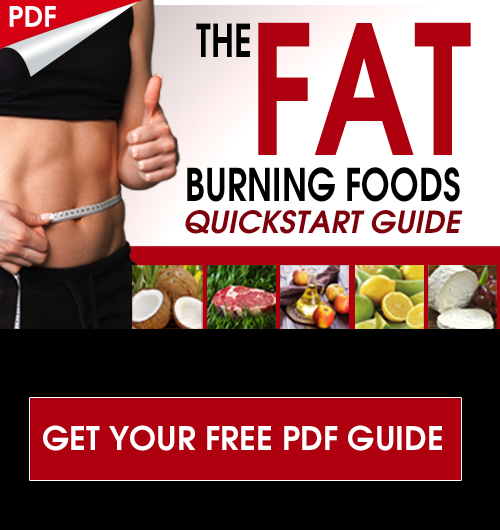 I have found that reducing oxalate levels by 20% compared to the former diet is the best place to start and often with the addition of key supplements such as potassium citrate, vitamin B6, magnesium and activated charcoal, this slight reduction in oxalates in the diet is all that is needed. I teach my clients to minimize their consumption of spinach, beets, grains, nuts, sweet potatoes and chocolate for 3 months until we retest and see that their oxalate levels are in the normal range. From there, they can have a serving of these 1x per week, while we continue with the supplement protocol and retest again in 3 months to see if we were able to keep the levels under control. 1. Avoid Nuts & Grains: Avoid nut flours and opt for coconut flour and grain free nutrition. 2. Avoid Anti-Biotics if Possible: Use antibiotics only in an emergency situation and never for general health. 3. Rotate Your Produce: Rotate the produce that you eat. Iceberg lettuce and romaine lettuce varieties contain very little oxalate and can add bulk to your salad in combination with spinach and kale. 4. Cook But Don’t Overcook Your Veggies: Blanching, boiling, and sautéing vegetables will reduce oxalate content but if you cook them too long it only reduces the valuable nutrient supply available. Studies have shown that a maximum reduction of only 15% oxalate concentration occurs through cooking (1). 5. Improve Gut Health: Supplement your diet with probiotic foods and supplements to replenish beneficial bacteria that break down oxalate. Examples of fermented foods are yogurt, kefir, cultured vegetables, kombucha (made without black tea), and sauerkraut. A high quality 100 billion CFU probiotic supplement with lactobacillus acidophilus and bifidobacterium lactis should be used as well. 6. Boost B6 Levels: Boost your B6 levels and improve methylation status (17). I recommend the activated form called Pyridoxal-5-Phosphate (P5P) for best results. 7. Optimize Vitamin D Levels: Optimize your vitamin D levels by getting regular sun exposure or supplementing daily. 8. Don’t Take High Dose Vitamin C: Avoid taking more than 2,000 mg of vitamin C daily (6). Remember, vitamin C can be used to make oxalate. 9. Increase Your Citrate Consumption: Citrate or citric acid will bind to oxalates and help the body to remove them. You find citrates in citrus fruits such as lemons and limes. I also recommend taking a Mg-K citrate capsule with each meal to help the body bind the oxalates in that meal. 10. Use Activated Charcoal: Activated charcoal is a binding agent that will help to reduce oxalate levels in the gut and reduce yeast and bad bacteria that disrupt normal oxalate metabolism. I recommend taking Mg-K citrate with meals and activated charcoal outside of meals. 11. Increase Omega 3 Levels: Use a high quality, purified fish oil that is rich in EPA, DHA and GLA. Aim to get 2+ grams of omega 3’s daily, which has been shown to reduce oxalate levels (13). The main supplements I use for elevated oxalate levels include Mg-K citrate, vitamin B6 and activated charcoal support to help the body to deactivate, bind and eliminate oxalates effectively. The form of B6 that works best with this is the activated form called pyridoxal-5-phosphate (P5P). These supplements are relatively low cost and make a big difference. It would also be a good idea to include vitamin D, B vitamins, magnesium and omega 3 fatty acids while going through this oxalate protocol. The strategy I use, along with a low oxalate diet includes the following. Activated Charcoal: Use Bulletproof coconut charcoal, Take 2-4 capsules away from meals (about 90 mins after meals) – 2 times daily. Do this for 90 days and then retest using the OAT Test to see what the oxalate levels look like. If the test results look good (which they do 90% of the time), than you can begin adding back the healthy oxalate foods we reduced. This would include sweet potatoes, nuts, raw cacao, beets and spinach and continue on this protocol. If you notice symptoms returning, try reducing oxalates a small amount and see if that reduces the symptoms. You can also retest with the OAT test. As the microbiome improves, the body will be able to manage the oxalate levels and you will be able to enjoy some of the high oxalate foods from time to time. 5. Hoppe B, et al. Absorptive Hyperoxaluria Leads to an Increased Risk for Urolithiasis or Nephrocalcinosis in Cystic Fibrosis. American Journal of Kidney Diseases. 2005 Jul; 46(3):440 – 445. This article is so helpful! Not only was my oxalate count very high from a stool test, but this indicates so many other issues I had been having. I will start using this diet TODAY and hopefully will see much improvement. I can’t believe I just found this website a few days ago and how great info I have found to help me to heal from SIBO. I wish I would have known all this years ago. After reading this article, I understand the reason for my pain and suffering during the last few years. Thank you for this outstanding article! Thank you for reading Ruth! How does or dosent this apply to Interstichal cystitis. Not sure I spelled it correctly. Thank you for sharing your testimony Kim! your low oxalate shopping list has kambucha marked as to be avoided and yet elsewhere you sing its praises…which is it? Hey Ed, tea leaves are rich in oxalates and are used to make kombucha. These should be avoided if you are following a low oxalate nutrition plan. Some kombuchas are made with different types of tea leaves and can be better options! What type of tea can be used for kombucha? I have organic black tea, will this work? Hello, My 7 years old daughter is suffering with autoimmune disease and it is out of control. she is suffering and it hurts to see her like this. Kindly help!! the doctors that we have been seeing want to put her on immunosuppressant. Kindly advise where to take her for more natural treatments and what are some testes that can be done to find out more about her conditions. Thanks in advance for your time!! I’m SO confused. I’m 58 and suffering from severe joint and spine pain, burning sensations in my back, and I feel like I have pneumonia without the cough. Dr. advised I try an anti-inflammatory diet. 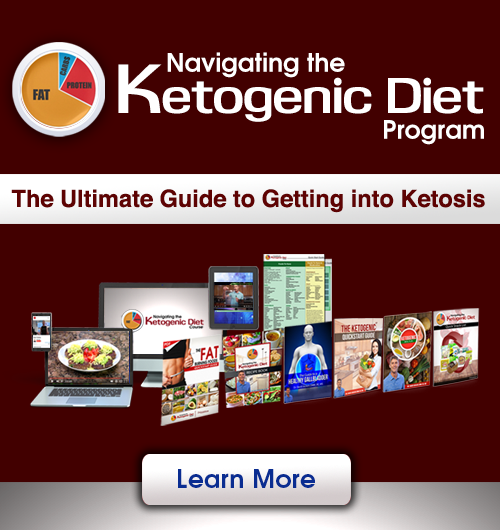 I checked out some websites that list these foods, only to find I am already eating many of them, including quite a bit of almonds, spinach and green leafy salads, walnuts, tuna, chia seeds, plus other “healthy” foods like kiwi and oranges, plus blueberries, cherries, carrots and brussel sprouts. I stumbled on a website about high oxalate foods, which brought me here, and WOW, it appears that what I’m eating is on the one hand supposed to be anti-inflammatory, yet crazy high in oxalates. How can supposedly anti-inflammatory foods also be so high in oxalates, perhaps causing my symptoms that seem to be inflammatory in nature? Also, I note you have curcumin supplements as green/good but turmeric as red/bad. This is very confusing. I’m taking a turmeric root extract capsule supplement labeled as pure turmeric curcumin. Two capsules contain 1200 mg Turmeric Root Extract (curcuma longa), 100 mg Turmeric 95% Curcuminoids and 5mg BioPerine. Is this good or bad? I don’t see turmeric as a big problem with oxalates. Biggest thing is to avoid spinach, raspberries, sweet potatoes, nightshades, legumes, grains, sweet potatoes, beets and nuts. For the most part Annette. You could supplement with Magnesium-Potassium Citrate to help reduce your levels! Thank you for this info. The P5P supplement you recommend would provide about 66mg per day. I’ve been told that that high B6 can cause nerve damage. Would you recommend checking a blood level of P5P to monitor? If so would you please tell we what lab test? My son had high oxalate on both recent OAT test & on 24 hr urine test 3 years ago when he had kidney stone. Want to help him but scared of damaging his nerves with B6. Also I have Hashimotos & Dupuytrens. I want to get my oxalates checked to see if this is a root cause. Would you recommend an OAT test vs a 24 hour urine for oxalate? Hey Ann, you would need a very high dose over about a year for this to become a concern. I typically recommend the organic acids test for oxalates testing. Thank you for this information. My mom has a chronic problem, a vaginal Lichen planus. The low oxalate diet may help her to heal her issue. I have the same vaginal Lichen. While looking up Lichen Sclerosis I saw a picture of what I have on my knees. I’ve been treating my knees with a different ointment. Reading several websites for this condition and peeling more layers of the onion, I found Dr. Jockers site today. Glad I did, it’s easy to comprehend-thank you Dr. Jockers! I have eliminated the “white” foods from my diet on and off over the years. I have defiantly notice when I eliminate sugar and chocolate I am not constipated, fatigued, among other low energy issues. I think eliminate or reducing the low Oxalate foods will help… starting it today! Great! All the best Norge! Thanks so much for this information. I happen to have burning in my stomach and chest. But when I drink a lot of water and low oxalate foods it decreases. This started like a UTi. Now I get breathless, given prednisone tablets which burnt me so badly. What can I take to reduce this breathless especially in cold weather and I don’t get this burning irritation all over my chest and stomach? This is hard to say without more information. It could be low stomach acid, some kind of ulcer or hiatal hernia, or something else going on in your gut that needs to be addressed. Reach out to michael@drjockers.com for continued support with this! Thanks for pointing that out Shar! The single asterisk is the herb that is higher in oxalates while the double asterick is the herbal extract that is low in oxalates. The oxalates are stripped away in the extract form. I took the organic acids test you suggested and my results were very high Oxalic (131 mmol/mol creatinine) and extremely low Vitamin C (0.42), with normal ranges of glyceric and glycolic. I’ve been experiencing many of the symptoms you listed. Do you know what these results mean? How can my Vitamin C get so low with adequate consumption? Thanks for the article and shopping list. Noticed the shopping list does not include beet greens or chard. Assume this is an oversight. Question — does dry roasting reduce oxalate content of nuts? Definitely avoid those as well. Yes roasting will reduce oxalate a little! Is Boston lettuce low oxalate? I have interstitial cystitis and I think I can’t take Mg-K Citrate or B6. What should I take? Hey Cathy, those are the best things to help reduce oxalates. You could also try just a low-oxalate diet. Thanks for sharing Jesse!! So glad you are seeing results! Blessings to you!! The hell with this article! I finally feel I am eating right by having more nuts, beets, oatmeal, sweet potatoes, raspberries, amaranth, black beans, dark chocolate. And now you say to limit those items? How about I just starve to death since there seems to be nothing left to eat that is health. Hey Mark, this article has been very helpful for individuals that struggle with oxalates. We didn’t write this to say that everyone needs to avoid these. There is no reason to be offended. 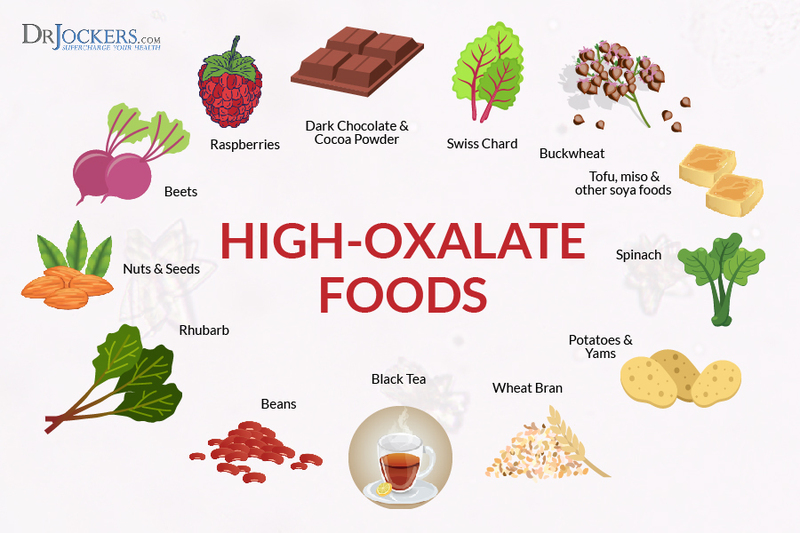 If you feel good with these higher oxalate foods than it tells us that your body has very good oxalate metabolism. That is a real blessing!! However, many others do not and consuming high oxalate foods can be very inflammatory and problematic for them. Will the protocol above allow for grains more than once a week at some point?. I have 2 daughters ( 9&12) with oxalate issues and restricting grains to once a week would be very difficult as they are also intolerant of dairy and eggs. Would the treatment allow them to eat normal at some point? They have been eating low to medium oxalate for 5 years and I am looking to find some way to treat this condition. They have not taken the binding agents. The oxalate reactions are better when they consume dairy because of the calcium but they have difficulty with dairy so it’s a double edge sword. The diet is very difficult and limiting given their other food allergies. Please offer some advice. Thanks in advance. Are the supplement recommendations the same for children? My 10 year old son (weighs about 70 lbs) has to begin a low oxalate and low histamine diet. What are the dosage of these supplements that would be appropriate for kids?